Sell your real estate development in no time. 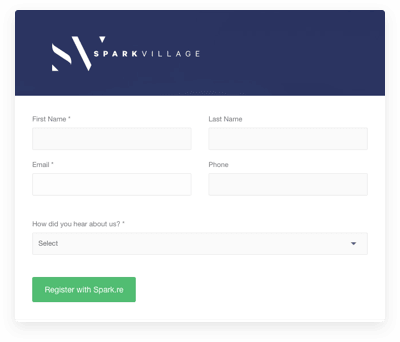 Track leads by building, designing and implementing effective registration forms in Spark. 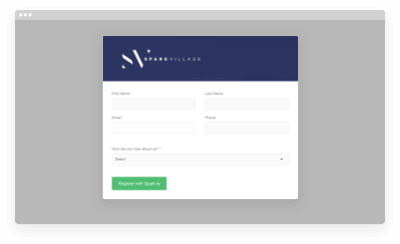 Design forms with user-experience in mind. Form design should be centred around the needs of homeowners and buyers, not the limitations of software. 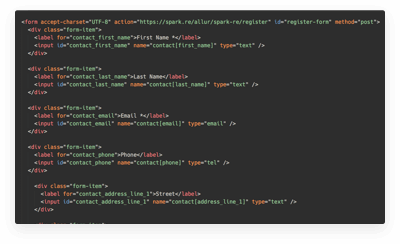 Send raw code to developers, embed an iFrame into your site or use Spark’s default public registration page to quickly track leads. Boost power and maximize customization. 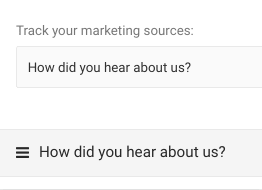 Set up a source question, so we can help you report on which ones work best. 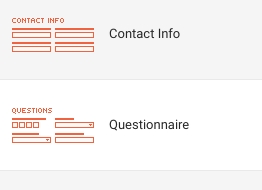 Add, remove or edit questions on your live registration page inside Spark. 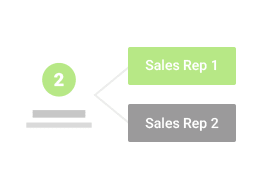 Use multiple forms to allow you to better track where registrations originate. 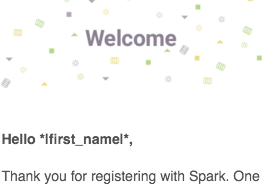 Let Spark help you opt-in new leads, to keep your database safe and compliant. 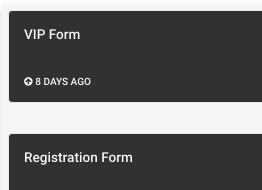 Select who gets notified of both new and duplicate registrations. Control the look of the form by choosing which widgets to add and in what order. 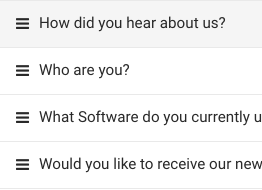 Choose your template, customize it and never worry about it again. Streamline communication with your web agency and send your code with a click.